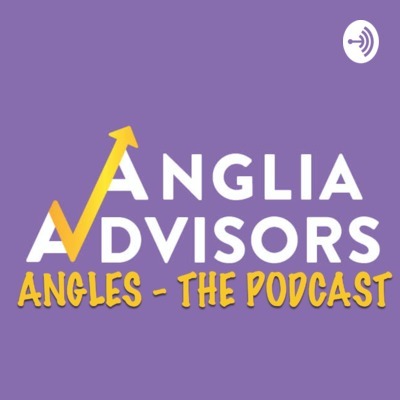 In Angles, a personal finance podcast, Anglia Advisors founder Simon Brady CFP® and his guests talk about what younger professionals and foreign nationals in the US need to know to successfully getting their personal finances in order and build towards financial security, often by just adjusting your mindset, using new technology or learning to ignore the BS conventional wisdom and myths put out by the financial media & Wall Street. This podcast is informational only and should not be used as the sole basis for making any investment decision. Opinions expressed are mine or those of my guests. A bonus episode, featuring the audio of Simon's appearance on Asset TV in 2017 in which he discusses with Maya Chung what financial advisors need to know and understand when dealing with foreign national clients. It ends up being a good summary of many of the important financial planning issues that need to be considered by foreign nationals moving to the US. Unfortunately the video clip is no longer available. Crypto and the Blockchain - What's It All About? Shannon McNulty, CFP® is an estate planning attorney and CERTIFIED FINANCIAL PLANNER™professional with a specialty in the multitude of sometimes mind-boggling and daunting issues that particularly affect foreign nationals in the field of estate planning, particularly those recently arrived and who may not be long term residents. Who is most affected? What are some of the truly catastrophic consequences of not fully understanding the rules? What, if anything can be done to prepare for these consequences? If you are moving, or have recently moved, to the United States, you need to do yourself a favor and listen to this podcast. www.mcnulty-law.com http://www.investopedia.com/advisor-network/articles/111616/financial-issues-foreign-nationals-working-us/ ** the podcast references an estate tax exemption of about $5.5m for US domiciles and $60k for non-domiciles, this has subsequently changed to $11.2m for US domiciles but is still $60k for non domiciles. Estate Planning .. Who Needs It and Why?